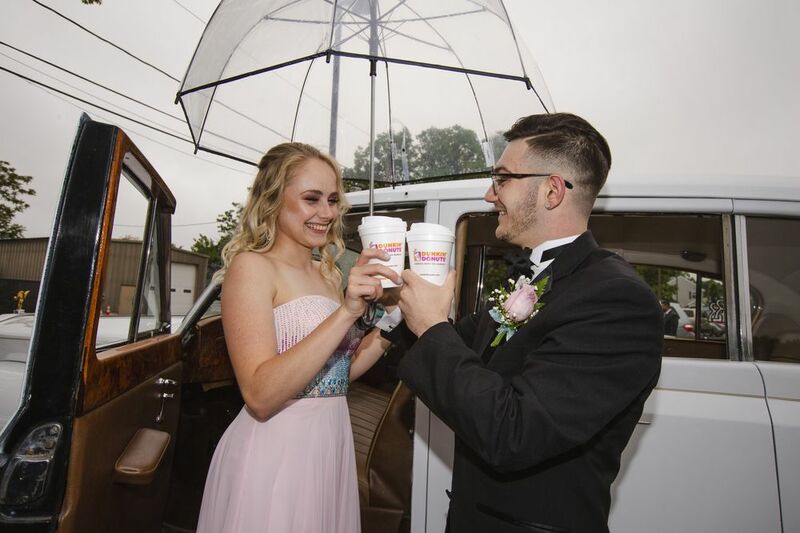 Promposals have gotten bigger and more elaborate over the years, and we’ve seen many high schoolers be inspired by Dunkin’. 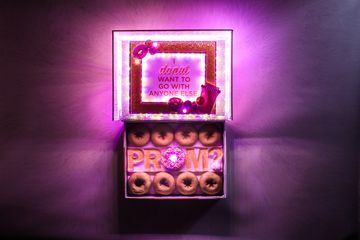 This year, we surprised some of our most passionate fans with the ultimate, tricked out Dunkin’ donut boxes to make their promposal even sweeter! 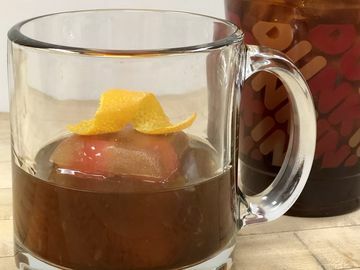 We asked Dunkin’ lovers everywhere to tell us why they wanted to give an epic Dunkin’ promposal. We received a lot of great entries, and one couple rose to the top. Meet Jake and Jill. Jake worked at a shop across the street from Jill’s high school in North Reading, MA. 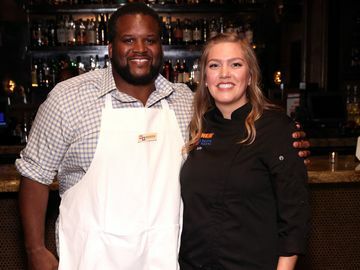 When Jill got a job there last year, the pair immediately hit it off and they’ve been together ever since. 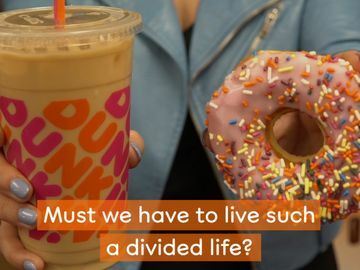 They go to Dunkin’ together every week – Jill will even surprise Jake with his favorite coffee sometimes. 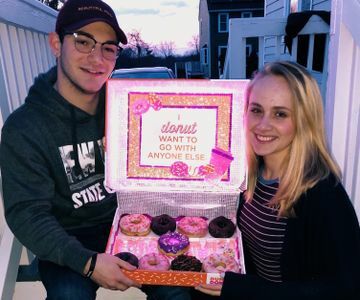 Jill had been considering how she could ask Jake to her prom, and when she saw the tricked out Dunkin’ promposal box on Instagram, and she knew it would be the perfect way. 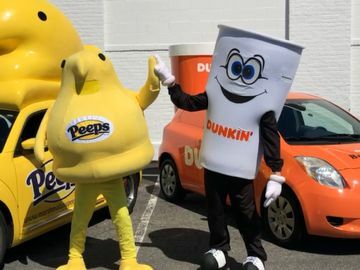 After graduation, Jake and Jill are both heading off the college, where Jake will study engineering and Jill will major in business and accounting. 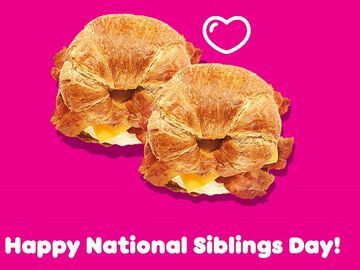 Best of luck to both of them next year!